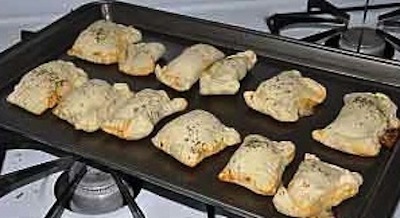 Pizza rolls or pizza bites are great homemade version of a popular frozen food. We love these at our house especially when you dip them in spaghetti sauce. 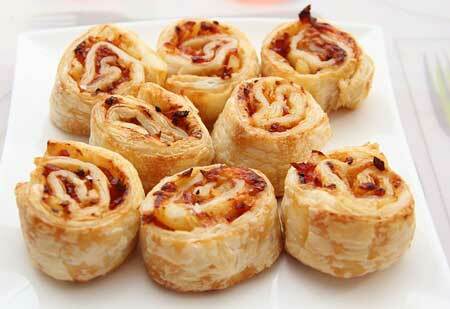 You can add pepperoni or ham in your rolls, use shredded cheese or mozzarella cubes. 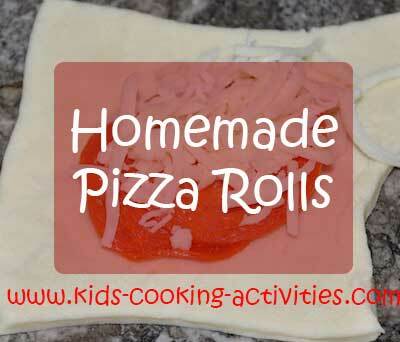 Roll pizza dough onto a floured surface into a large rectangle. For easier handling cut in two batches. Cut into approximately 4 inch squares. On top of each square place a pepperoni and ham slice or chunk and a cheese cube. Wrap dough around meat, fold sides in and roll up. Press together. Fork edges. Place on cookie sheets. In small bowl, mix olive oil and seasoning together. With pastry brush brush oil over pizza bites. Sprinkle with Parmesan cheese. Use all dough and bake at 400 degrees for 15-18 minutes. Use pasta sauce for dipping. 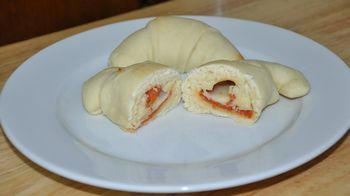 A variation on pizza rolls using crecent dough. Preheat the oven temperature to 375 degrees allowing the oven to preheat. Count out 48 pieces of pepperoni and set aside. 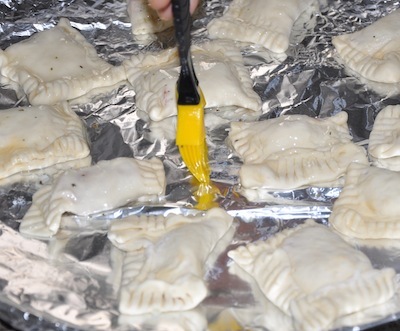 Remove the crescent roll dough from the packages, unroll and separate each one into 8 pieces. Place 3 slices of pepperoni onto each dough triangle. Sprinkle the pepperoni with the cheese. 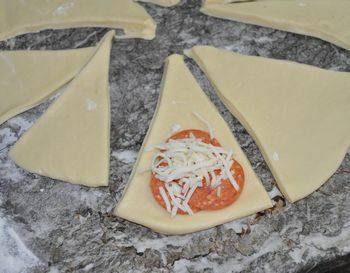 Starting with the short side of each dough triangle, roll the dough to the opposite point and press lightly to seal closed. Place the rolls, point side down, onto an ungreased cookie sheet. Bake 12 minutes or until the dough is a nice golden brown. 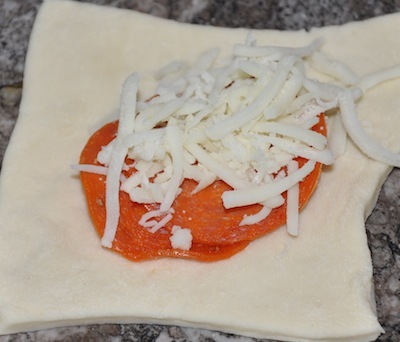 Roll pizza dough into a rectangle. Sprinkle with shredded cheese and chopped pepperoni. Roll up jelly roll style, like you would cinnamon rolls. Cut into slices and place on baking sheet. Bake at 400 degrees until golden brown. Serve with pizza sauce on the side for dipping. See more pizza inspired recipes. On to homemade pizza dough from pizza rolls.